Hi, my name is Lindsay and I am a Netflixaholic. Since I’ve been on maternity leave, I have spent a lot of time with my trusty Netflix. From laying on the couch cuddling my baby, to feeding said adorable baby and getting up in the middle of the night rocking that precious babe, I have needed some serious tv entertainment to get me through. Yep, Netflix has been a saving grace for my sanity these past 12 weeks. I might have watched three full seasons of a certain tv show in about a week and a half…and my husband was shocked at how quickly I finished! And now I’m really sad that Parenthood doesn’t have any more new episodes on Netflix yet and I desperately need something else to watch. Oh how I miss crying over eight out of ten episodes of Parenthood. I really identify with Kristina and probably cried every time she did. The show is good, people! Judging from all of the comments on Friday's post a lot of you agree. Can we start a twitter party to discuss the show? #ParenthoodPink Just kidding. Maybe not. -I’m looking for a feel good show a la Hart of Dixie or Parenthood, I don’t want anything scary. -I DO NOT like any of the Law & Order shows, especially SVU. It’s really not my deal to watch a show about someone getting raped when I am up in the middle of the night (wow, never thought I would type a sentence like that on my blog – let’s see how many strange web searches bring people to my blog because of that!). Taking those thoughts into consideration, can you help me find a new tv series to watch? Pretty please? Leave a comment below, tweet me, e-mail me. Whatever. Just send your suggestions. I will be ever so grateful! We love Chicago Fire. Not Girly girl but good!! That's so funny, I watched parenthood too after I had my son LOL it's a great show! Orange is the new black had me hooked! My husband got me watching Eureka, it's scifi but a good show, I recommend it! I love all of those shows! How did you watch Friends? Mail in? I've watched Traffic Light (very funny and has some girly moments), Samantha Who, Parks and Rec, How I Met Your Mother, Portlandia and The IT Crowd. There's a new show coming out on The Cw called Reign that is very girly-girl! I also really love Vampire Diaries and it's not very scary. There's a spin-off of that coming in October called The Originals that looks good as well! I'm extremely versatile when it comes to what I watch. I love a bit of everything... from drama (Grey's Anatomy fan here) to grit (Sons of Anarchy Obsessed) to scary darma (love love love my Walking Dead) and even watch some Reality tv when I have some downtime, lol. I need to catch up on last seasons Revenge!!! The United States of Tara was interesting...not really a girl girl show though. What about Gossip Girl, lots of fashion and ridiculous drama. Ugly Betty is always fun to rewatch for me. And the one show that always makes me feel super normal and together...Bridezillas. Army Wives... and of course soon Parenthood is starting back up on live TV. I love Parenthood, I literally bawl my eyes out in every single episode. So glad to know that I am not the only one! 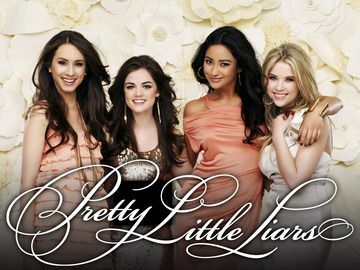 I think Pretty Little Liars has more than 1 season on Netflix. Vampire Diaries is also a guilty pleasure...once you get over the first 4-5 episodes where they are clearly figuring out what direction to take the show, it gets pretty good. Arrested Development is very funny. I've heard good things about Hot in Cleveland (with Betty White), but I've never seen it and am not sure if it is on Netflix. I also really like White Collar --- can't wait for Netflix to have more episodes! I suggest finishing Downton Abbey and checking out The Good Wife. Seriously, watch New Girl! It's one of my absolute, all time favorites! Yay for Orange is the New Black! Love it! I actually love SVU and Criminal Minds ... but at times they get a little too scary for me. Parenthood is another favorite for sure! Now you need a dose of reality and that would be DUCK DYNASTY!! Watch it a coulple of times and you will be hooked. Dance Academy! It's this girly show that follows a group of dancers at an Australian dance academy. Full of teenage drama, but the dancing is beautiful and the accents are awesome! I think they have season 1 and 2 available on Netflix. The episodes are only 30 minutes a piece so you could easliy blazew through them!